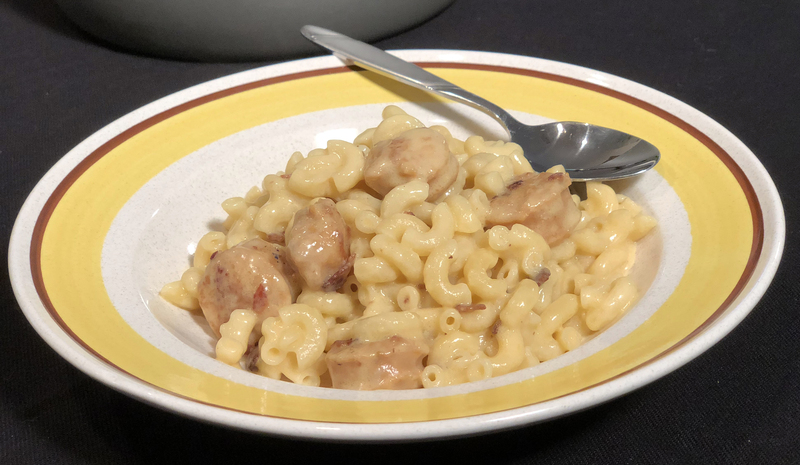 There’s nothing for comfort, warmth and down-home flavor like a big, satisfying bowl of mac n cheese — but the one thing that can make it even better is some bacon and sweet chicken sausage to add protein and full flavor to all that cheese. 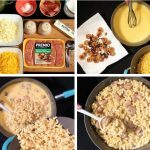 This bacon and sausage mac n cheese will blow your mind. 1. 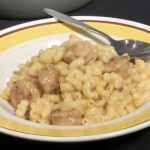 Bring a pot of water to a boil and cook elbow macaroni according to package directions, then set aside. 2. In a large saucepan, add butter and flour and whisk over medium heat when the butter begins to melt. Slowly add in chicken broth and half n half, reducing the temperature to low. 3. Cook for about 10 minutes, stirring frequently until the mixture is slightly thickened. Then, add sharp cheddar and white cheddar and continue to mix on low. 4. Meanwhile, add bacon to a small skillet and cook over medium-high heat with some butter or olive oil until almost thoroughly browned. 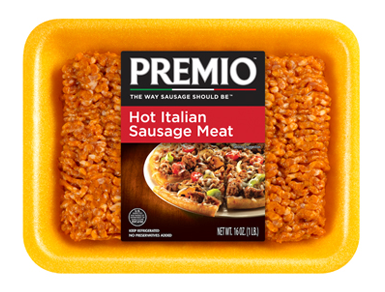 Add in chicken sausage rounds and continue to cook, turning sausage rounds over frequently, until bacon is crispy and sausages are browned and firm. 5. 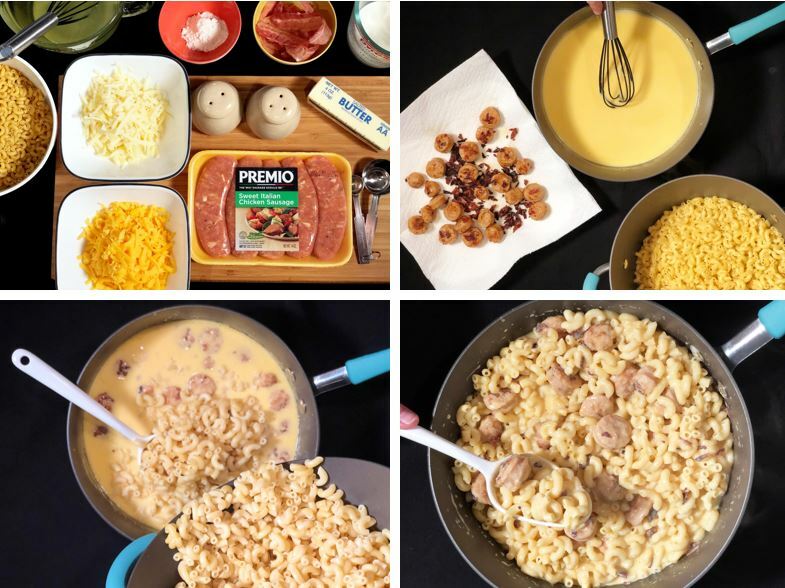 Remove the meat from heat, drain with a paper towel and add cooked bacon and chicken sausage coins to your cheese sauce. 6. Slowly stir in elbow macaroni and mix well. 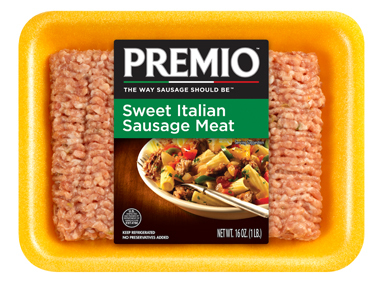 Serve seasoned with some salt and pepper and dig in! 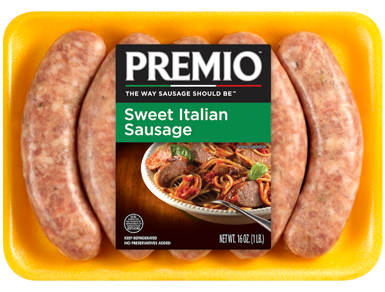 Crazy about Premio Sweet Italian chicken sausage? 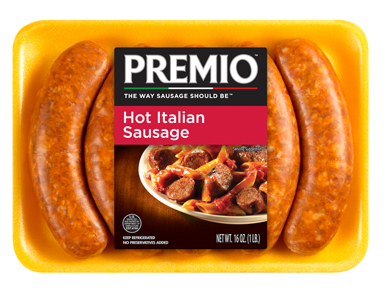 Try all our mouthwatering sausage varieties when you search for our products in a store near you today.